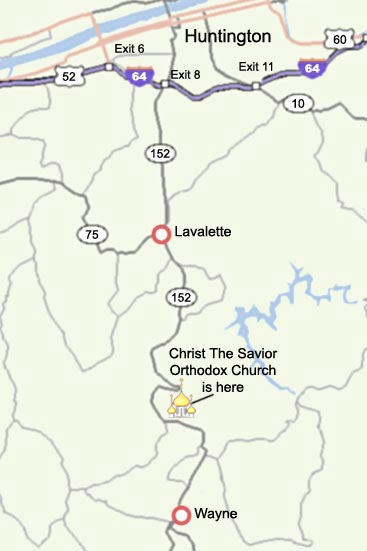 Christ the Savior Orthodox Church is located approximately 11 miles south of Huntington, West Virginia on Highway 152. The Church is about three miles before you enter into the town of Wayne. From I-64, take exit 8 (marked “5th Street Hwy 152 South”). Proceed south on Hwy 152 for approximately 11 miles. The Church is on the left, immediately after the Save-A-Lot food store. If you cross the railroad tracks after passing Save-A-Lot, you just missed the Church turnoff. The Lord said: ‘Without Me you can do nothing’ (Jn. 15:5). 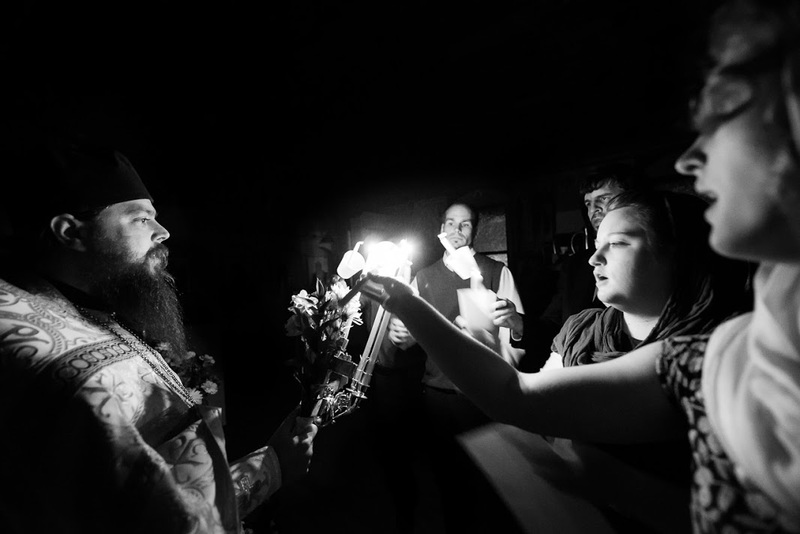 So for the duration of our life, every day and at every moment, we must keep unchanged in our heart the feeling, conviction and disposition, that on no occasion can we allow ourselves to think of relying on ourselves and trusting ourselves.